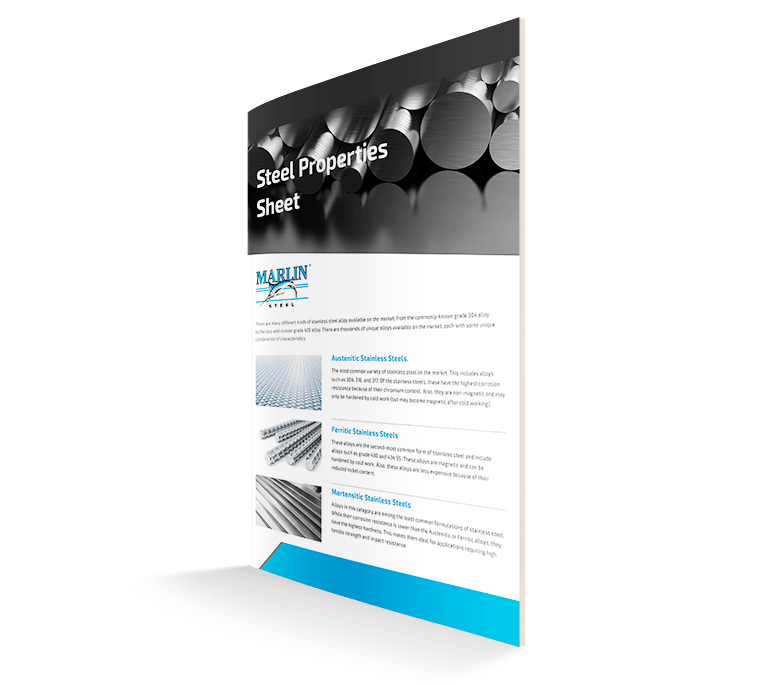 Mobility can be a major issue for parts finishing processes for many reasons. For example, being able to move a load of parts from one finishing process to the next helps to minimize downtime and increase productivity. Additionally, being able to move parts safely helps to reduce rejections so there’s less waste in the manufacturing process. Recently, a German manufacturer reached out to Marlin Steel for a custom stainless steel wash basket to use with their conveyor and tray systems. One of their primary concerns was that their parts needed to be kept safe while moving quickly from one process to the next, as they had to meet high production demands consistently. So, Marlin’s engineers set to work creating the perfect stainless steel parts washing baskets for the client’s conveyor and tray systems. With two primary goals to meet (keeping parts safe while making the basket easy to move), Marlin’s engineering decided to ask the client a few questions about their manufacturing equipment and the parts being processed. By questioning the client on their parts, their washing equipment, and the conveyor systems and trays that would carry the fully-loaded baskets, Marlin’s engineers were able to ensure that the baskets they designed would be compatible with the client’s entire process. For example, because the conveyor system had a deep incline, it was important to add a lid to keep parts from tipping out of the basket. To ensure the basket wouldn’t catch on the conveyor belt at the bottom of the slide, rounded wires were used for the bottom of the frame. To move the baskets from the conveyor system to the trays for the next step of the process, the baskets had to be easy to carry by hand—mostly because manual movement was the fastest and most efficient solution. So, Marlin’s engineers decided to add a couple of large, easy-to-grab handles to the sides of the basket. To minimize the space they took up while the basket was in the washing equipment, the handles were made to rotate downwards when not being used to carry the basket. The stainless steel washing baskets were meant to hold many small parts in a loose fashion—the parts were tough enough that there was no concern about them getting scratched up by rolling around loosely in the basket. However, the basket still needed to ensure that all of the parts it held could be washed completely in a single parts washing cycle. Using stainless steel wire mesh was the obvious choice for this task as the open space between the wires would allow water and soap from the client’s aqueous wash process to reach the parts with ease while also allowing for fast and thorough draining. The lid at the top was also made of wire mesh so water could pass through the top of the closed basket. The client’s parts varied somewhat in their size and shape—and eventual changes were expected as they would add new parts to their production line. So, to accommodate a large variety of parts, the basket had a simple, open design. To keep parts from falling out, Marlin’s engineers needed to know the size of the smallest part that the basket would hold. Their questions allowed the engineering team to customize the design to control the openings per inch of the basket’s wire mesh so parts wouldn’t fall out. One of the biggest challenges in this custom parts washing basket order was the need to ship the stainless steel baskets to an overseas location quickly. Delays in shipping could cost the client time and productivity, and lead to them being unable to meet their own production goals. So, Marlin Steel did everything possible to minimize the delay in shipping the baskets to the client. First, Marlin’s engineers use virtual physics simulation software to test the design of the basket before starting assembly. This virtual testing was able to simulate months of real-world testing in minutes. Not only did this save time, it saved resources that would otherwise be wasted on physical prototypes. Next, Marlin’s manufacturing team used advanced factory automation to assemble the baskets quickly and consistently. With factory automation, Marlin’s engineers could meet a level of consistency and production speed that would be impossible to match manually. 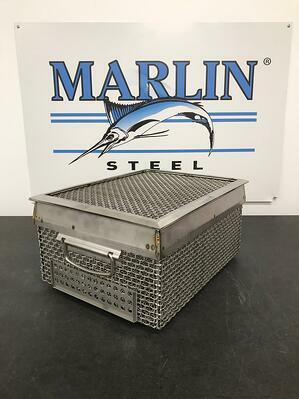 For the actual shipment of the finished stainless steel parts washing baskets, Marlin offered to expedite the shipping, which would help to reduce the delay. The longest delay in the entire process was for customs processing, which could not be expedited. This is why Marlin worked to minimize the time-to-shipment as much as possible. Need a custom parts washing basket as soon as possible? Marlin’s team members are all experts in delivering “Quality, Engineered Quick” to clients all over the globe.